When will be The Beany and Cecil Show next episode air date? Is The Beany and Cecil Show renewed or cancelled? Where to countdown The Beany and Cecil Show air dates? Is The Beany and Cecil Show worth watching? Beany is a little boy who travels the world with his uncle, Captain Horatio Huffenpuff, on the Leakin' Lena. 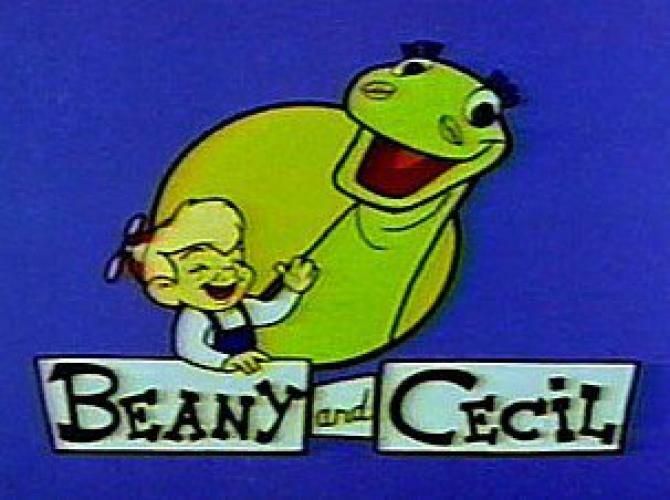 Beany's best friend is Cecil, a seasick sea serpent. The show ran from 1962-1967. A revival was done in 1988. This is the animated version of an earlier puppet show, called Time for Beany, which ran from 1949-1954 making it one of the earliest children's shows in television history. EpisoDate.com is your TV show guide to Countdown The Beany and Cecil Show Episode Air Dates and to stay in touch with The Beany and Cecil Show next episode Air Date and your others favorite TV Shows. Add the shows you like to a "Watchlist" and let the site take it from there.